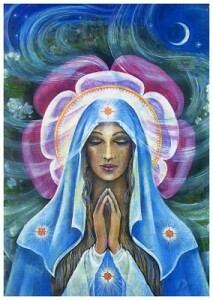 Abortion Sacred Healing Ceremony - wombofjoys Webseite! This is an audio-guided Shamanic Ceremony & long-distance energy transmission in your own home, to release any remaining grief from abortion, and to open your Womb to a deep space of healing, whilst you are energetically held in a loving Womb Circle. The decision to have an abortion is one of the hardest choices a woman will ever make. Whatever the circumstances, a legacy of grief often remains deep inside the heart and Womb afterwards, which remains unspoken and unclaimed. 40% of women in the US have had abortions, and nearly a 3rd of all pregnancies worldwide are terminated. Yet the subject is clouded with guilt and shame, and is rarely shared or brought into the collective for healing. This Ceremony creates a Womb Circle, a Sacred Shamanic Space for women to open to deep healing. All registrations will be treated in strictest confidence. The time has come to heal your heart and womb from any abortion trauma.